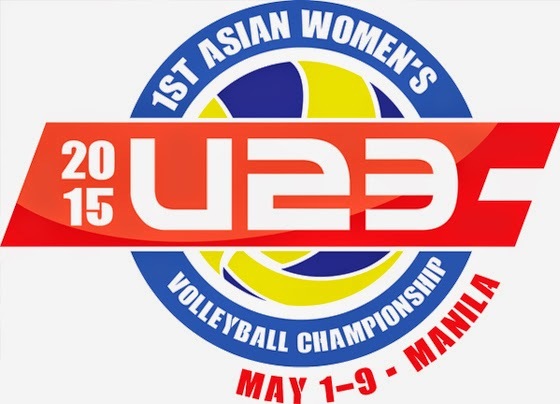 Asian Women's U23 Volleyball Championship 2015: Full Schedule, Updates, Standings, Results, Scores - Balita Boss! The Asian Under-23 Women’s Volleyball Championship is scheduled to be held on May 1 to 9, 2015 at the Philsports Arena in Pasig, Philippines. It will be broadcast on TV5 and AksyonTV. Live stream will be available via Sports5.ph. The 2015 U23 Asian Women's Volleyball Championship will also act as the qualifying event for the 2015 FIVB Women's U23 Volleyball World Championship to be played in Ankara, Turkey. The top two teams from this tournament will earn the right to represent Asia at the second edition of FIVB Women's U23 World Championship.